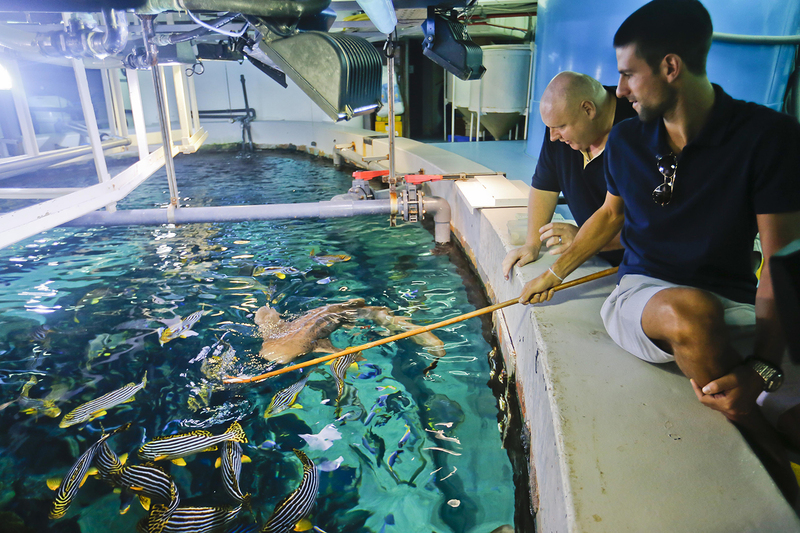 Celebrating 10 Years of turtle rehabilitation and World Sea Turtle Day in one hit! Today….in celebration of 10 years of sea turtle rehabilitation, my team and I released 110 rehabilitated hawksbill sea turtles back to the wild. Many of the turtles that we released today were rescued earlier this year by the likes of TDIC and Emirates Marine Environmental Group as well as many of the people of the UAE. Here’s what Gulf News Said: More than 100 critically endangered hawksbill turtles found sick and injured on beaches were on Monday released back into the sea after being nurtured back to health in Dubai. 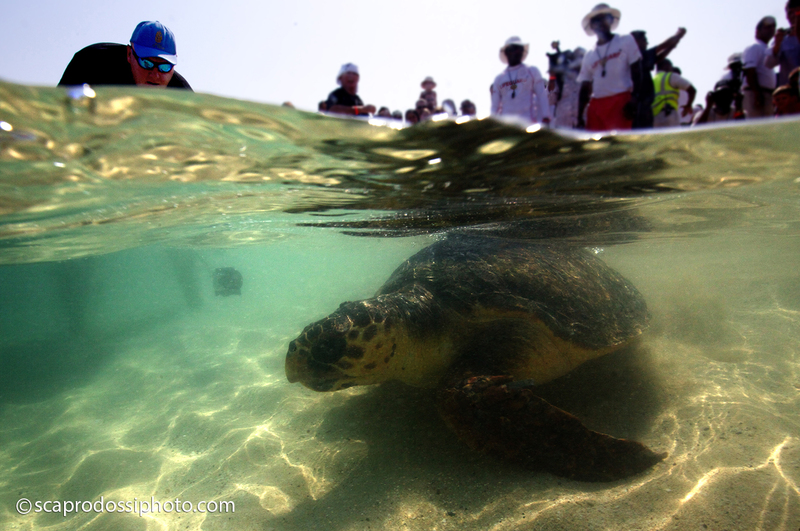 The release, cheered on by beach goers and schoolchildren, coincided with World Sea Turtle Day on June 16. 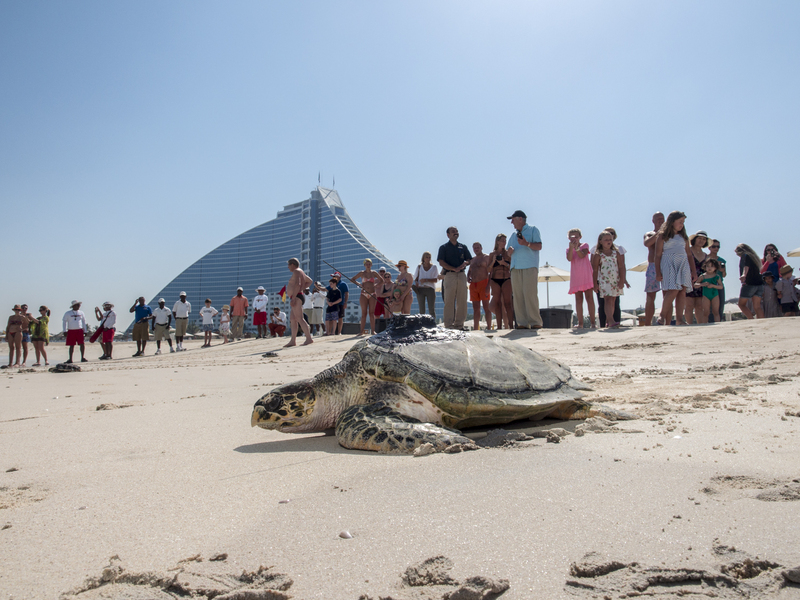 It also marked 10 years of the Dubai Turtle Rehabilitation Project (DTRP) of the Burj Al Arab hotel, which has rehabilitated and released almost 700 turtles. The turtles are handed over to DTRP by animal lovers after they are found washed up on the beach, often near death. They typically wash up after falling ill from eating rubbish mistaken for food or after getting hurt in impacts with sea vessels. Some are also found cold-stunned or tangled in fish nets. Slowed down in the water by disease or injury, barnacles start to grow on the turtles, slowing them even more. The problems mean they cannot swim and feed on their own, washing up on the shore near death, hungry and exposed to the fierce sun. The fortunate ones are found in time and taken to DTRP. After they are treated and found fit enough, the turtles are released. Warren Baverstock, who heads the hotel’s aquarium department, said the project is a success as none of the released turtles have returned to DTRP. 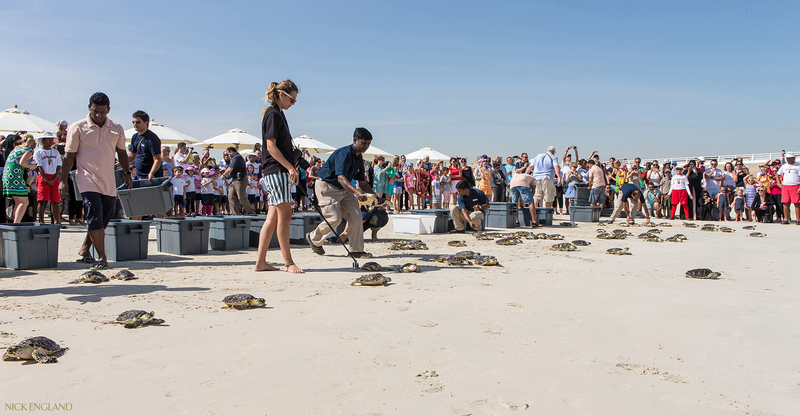 The released turtles are tagged and the ID also carries the contact address of Dubai’s Wildlife Protection Office. “Humans have been a risk to the turtles. I would urge people to be mindful of rubbish. In the water, it looks like food to turtles,” Baverstock said. Monday’s release of the 110 yearlings was supported by dozens of mostly Emirati kindergarten students from The International School of Choueifat in Dubai, guests of the Jumeirah hospitality group (which owns Burj Al Arab) and the wider community. “I’ve never seen so many turtles before. I’m happy they are doing good and going home,” said kindergarten pupil Hla Sousa. Home for the hawksbill sea turtles is generally the Arabian Gulf and tropical reefs of the Indian, Pacific, and Atlantic oceans. 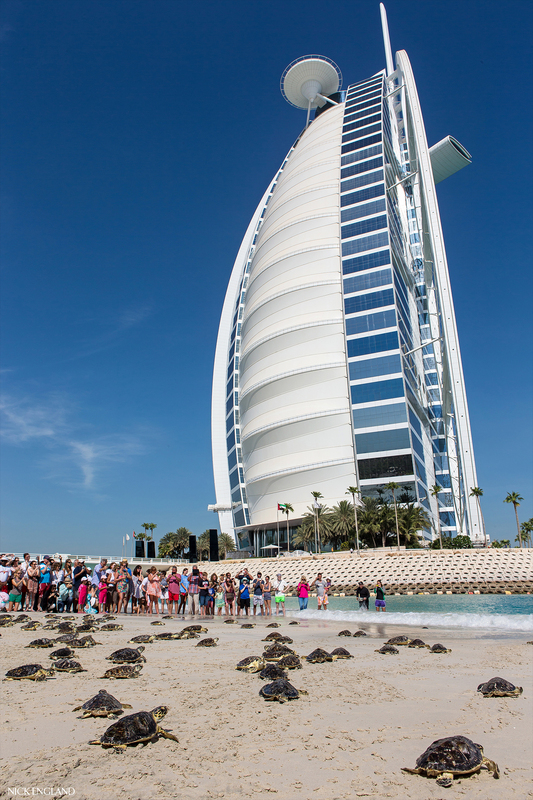 Dubai Three to four year olds from Dubai British School released Crush, their own highly endangered Hawkesbill Turtle, from Burj Al Arab’s private beach on April 8 with a tracker they bought with their money. 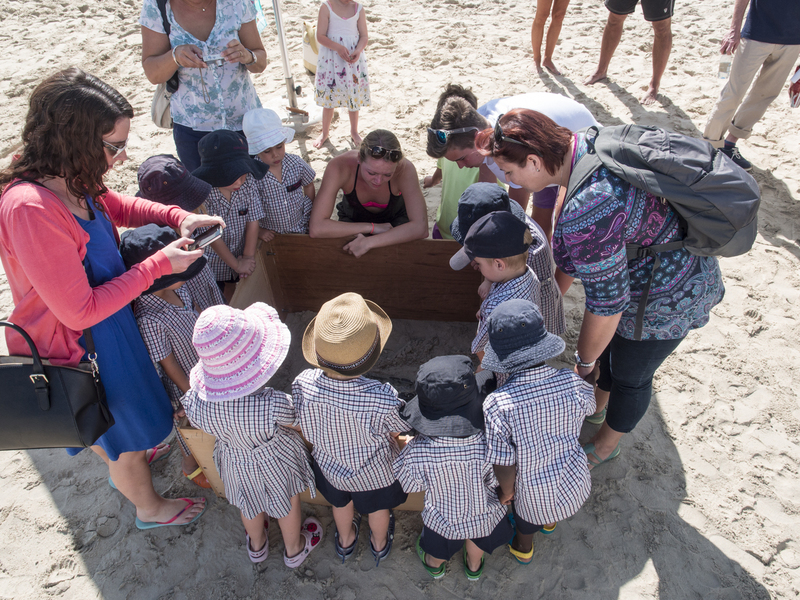 The foundation stage students who visited Jumeirah’s Dubai Turtle Rehabilitation Centre as part of a ‘Dubai, Sand and Sea’ school project ended up raising funds for the satellite tag to help rehabilitate one the turtle. 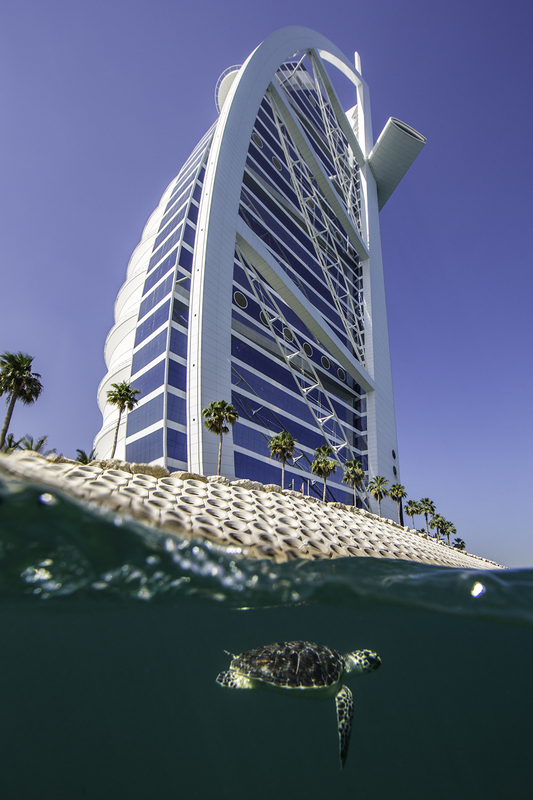 The Burj Al Arab’s Aquarium team released 20 other rehabilitated hawksbill turtles along with Crush. 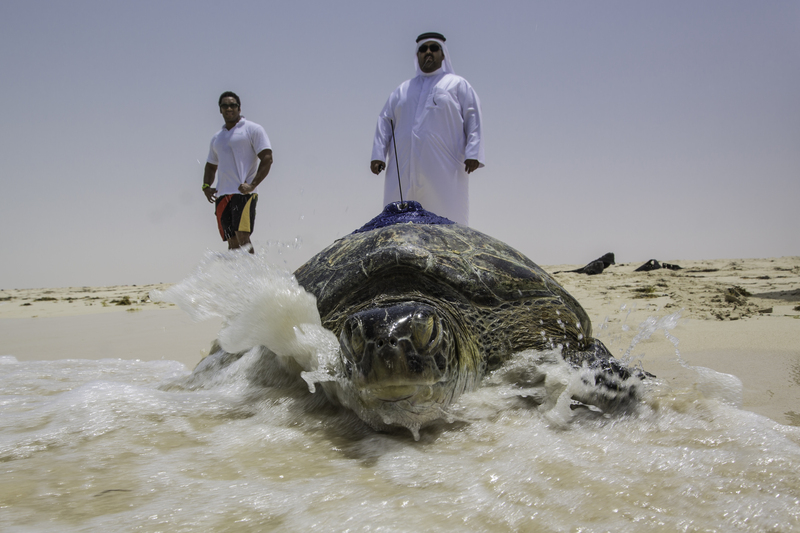 The Dubai Turtle Rehabilitation and Qatar’s Ministry of Environment has released a rare green sea turtle (Chelonia mydas) back into the wild that was found almost three years ago in a severely debilitated state. The turtle (who is known now by the name: Pearl of Qatar) was nursed back to full health by the Dubai Turtle Rehabilitation team at the Burj Al Arab Aquarium and returned to Qatar for her release back to her natural environment. Pearl was fitted with a satellite transmitter and transported to Fuwairit beach for the release. Originally, Qatar, the Green Turtle (Chelonia mydas) was found at the Pearl-Qatar in October 2010 by the Safety and Environment team during routine monitoring and surveillance at the Pearl. It was suffering from a severe lung infection and was unable to dive or control her buoyancy. After initially receiving treatment from local experts it was concluded that a longer-term rehabilitation plan was required to aid her recovery. 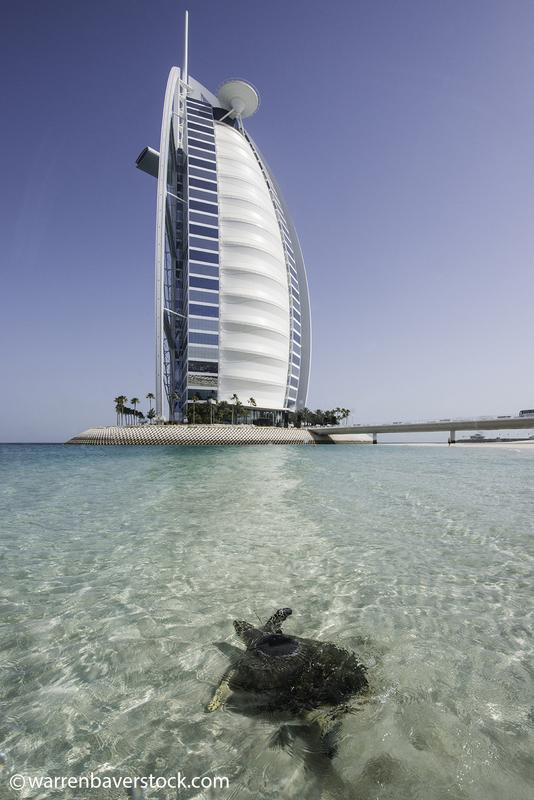 In December 2010, the turtle was flown to Dubai for specialist care and treatment at the Dubai Turtle Rehabilitation Project, located in the Burj Al Arab hotel. After X-rays it was established she had a broken front flipper and intestinal impaction. Three years later after a lot of rehabilitation, Pearl had made a full recovery and was now ready to be flown back to Qatar for here release. 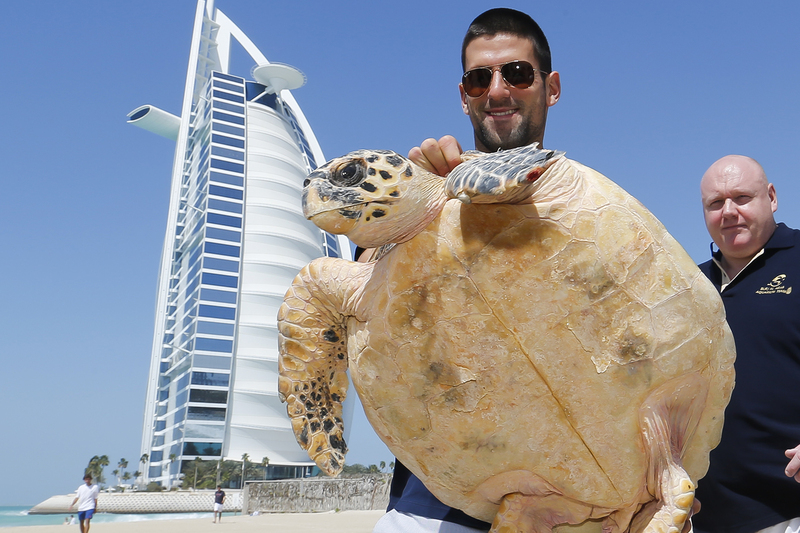 He heads the team behind the Dubai Turtle Rehabilitation Project that rescued and rehabilitated more than 200 turtles from our shores in the first few months of 2012 alone. Tell us about the turtle programme. 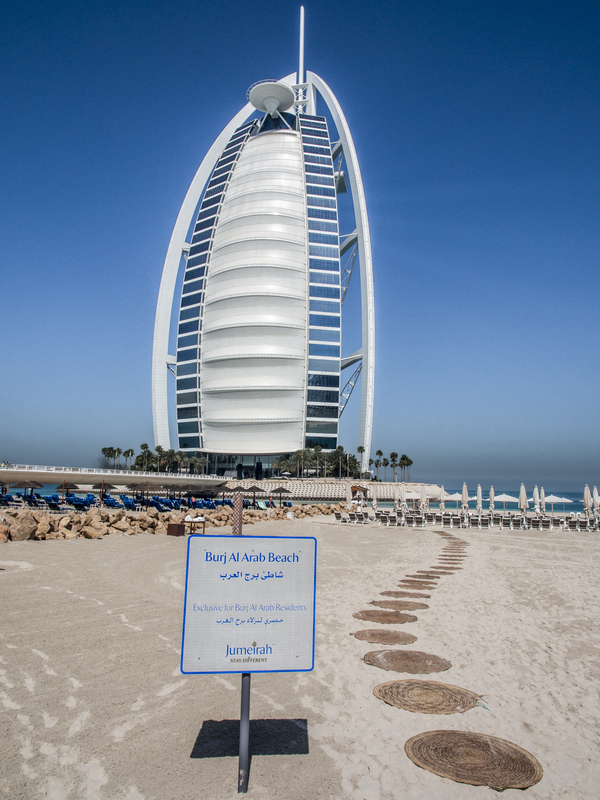 When injured or sick turtles are discovered on our beaches, they are brought straight to us at the Burj Al Arab Aquarium. After an intensive care period at our quarantine facilities and a period of rehabilitation in the outdoor pens at the Mina A’ Salam, we give them the green light for release. Last year, in addition to 151 critically endangered juvenile hawksbill sea turtles, we had a number of much larger turtles that we were able to set free. 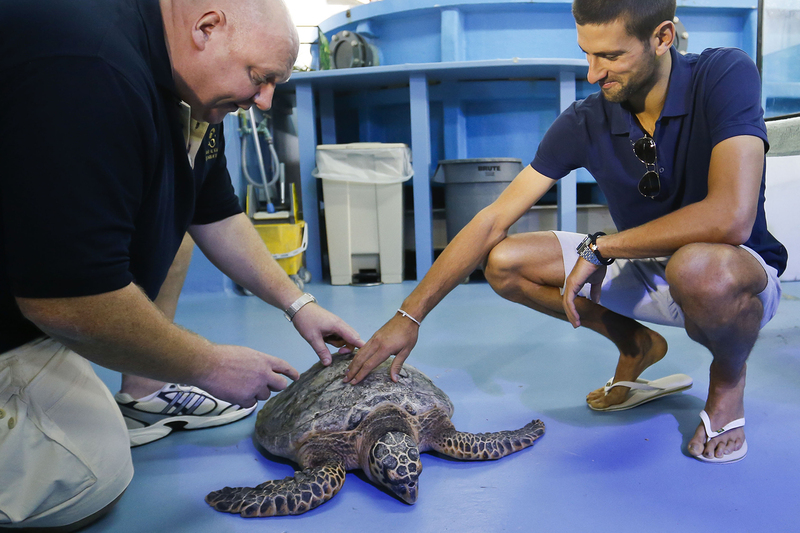 In particular, two very rare and large loggerhead turtles and two large green turtles. How was the public response to the first release programme on the beach? There was a massive turnout. Around 150 children each released a turtle. The whole crowd cheered. What is the biggest marine conservation challenge here in the UAE?Humans littering our shores and the attitude of ‘someone will clean up after me’. Every day people leave rubbish on the beach and a lot gets washed out to sea, contaminating the marine environments and harming sealife. When you aren’t shaping the UAE landscape, what do you like to do in your downtime? 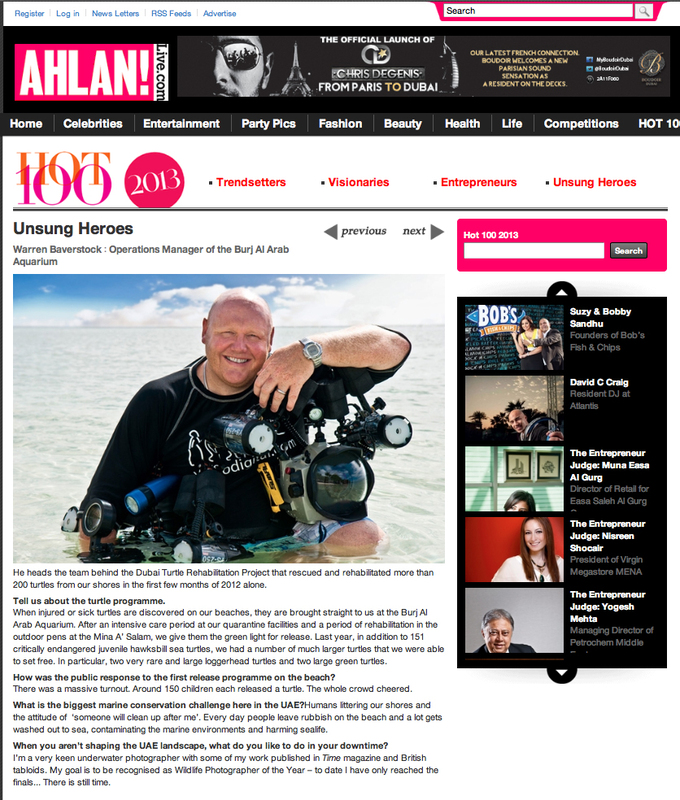 I’m a very keen underwater photographer with some of my work published in Time magazine and British tabloids. My goal is to be recognised as Wildlife Photographer of the Year – to date I have only reached the finals… There is still time. I suspect that like me, many serious underwater photographers dread the rigmarole associated with getting their precious, fragile equipment through foreign airports and land transfers. 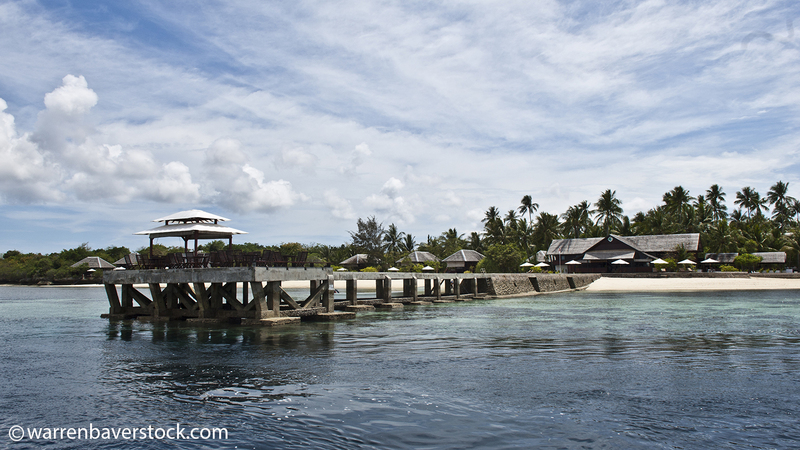 This wasn’t the case, however, during my recent visit to Wakatobi Dive Resort. The resort is located in the remote Tukang Besi island chain on the edge of Indonesia’s Banda Sea. But unlike many other out-of-the-way diving destinations in the region, getting there is easy, because the resort provides direct charter flights from Bali, along with a warm and welcoming staff that is there to help you at every step of the way. As son as I handed my gear over to the Wakatobi team at Bali’s Denpasar International Airport, I felt I was on vacation, even before reaching the island. Arrival and check in at the resort was equally relaxing, and as I prepared for my first dive, the staff once again took care of every detail. Before long, I was finning out over the shallow sea grass beds that lie inside of Wakatobi’s House Reef, catching glimpses of the many tiny creatures that lurk in the shallows. There would be plenty of time to photograph them later, I knew, so I kept swimming toward the edge of the reef. Peering down over the drop off for the first time brought a sense of sheer joy and amazement. The clear water created a panorama of colorful coral gardens populated by lively reef fish. Mesmerized, I followed the reef toward the resort’s jetty, taking in the marine life. 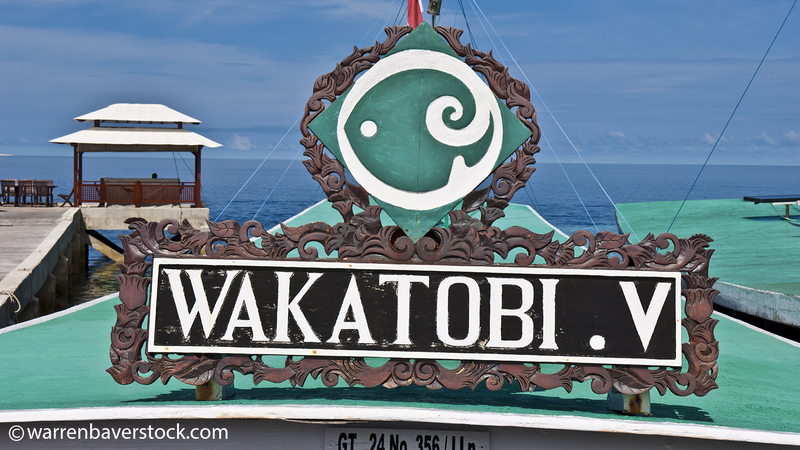 When it was finally time to get out of the water, I gazed across the sea towards a small tropical island perched on the horizon, and with the warmth of the setting sun on my face I thought “those blogs were true…Wakatobi is the real deal.” I first learned of Wakatobi by following a link on Facebook. Now, just 12 months later, I felt privileged to be here, walking along the shoreline toward my Villa. I’d just completed one of the most memorable dives of my life, and this was just the first day. With cameras secure and dive equipment taken care of by the dive center, I was free to sit and watch the last rays of light disappear behind the horizon and anticipate what the next day’s adventures would bring. Next morning, I find myself looking up at the surface from a depth of 15 meters, with more than 40 meters of reef visible to the left and right. With so much color and life surrounding me, the choices for photography are almost overwhelming. But it doesn’t take me long to settle into a routine. I am accompanied by my personal dive guide, Kaz, who not only leads me to the most interesting subjects, but also carried my second housing! Not wanting to miss out on macro opportunities I brought two housings, and diving with a guide allows me to switch between wide and macro subjects with ease. My primary focus will be to capture Wakatobi’s reefs using a compact close focus wide-angle set up, but I also won’t miss out on opportunities to capture reef scenes. 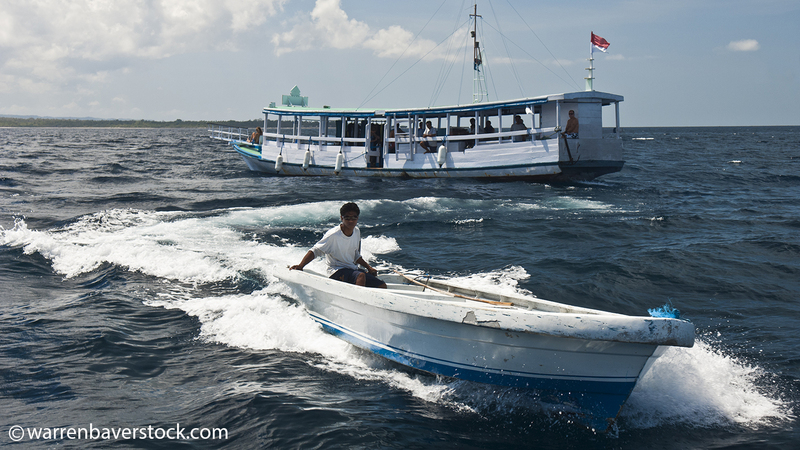 Having the support and assistance of a personal guide does come at a price, but it’s well worth the investment as Wakatobi’s guides are very experienced, and there’s a lot of 5-star customer service thrown in for good measure. Exploring the deeper depths of this dive site, I find large numbers of fan corals sitting on ledges next to the drop off. Complementing these delicate towering structures are colorful forests of whip and soft corals surrounded by swarms of newly hatched fry. For most of the dive I was distracted by the magical array of colors, and by the end I fully understand why the region is considered one of the most bio-diverse ecosystems on the planet. When I surface and pass my cameras up to the boat crew, I’m pleased to see that they know just how to handle the equipment. By the time I get onto the boat, both housings are rinsed in freshwater and placed safely under towels. During the surface interval, Kaz and I get to know each other. We will be diving together for the next two weeks, and he wants to learn what I am specifically looking during my stay. With the genuinely friends guides and the boat crew making sure that I have plenty of cake and coffee, we sail gently to our next dive. Before I know it, Kaz and I descend down onto our second dive of the day. After another long bottom time (70 minutes plus!) and many more rewarding photo opps, we head for the dive center. With housings safely stowed and batteries charging, I prepare to wash and hang my dive gear, only to find that that our boat crew has already taken care of everything. With these chores handled, I’m soon back at my villa to join my wife, who doesn’t dive, with plenty of time to enjoy the afternoon sun and take a swim. The select villa offers a luxurious sun lounging jetty with a plunge pool overlooking the water. 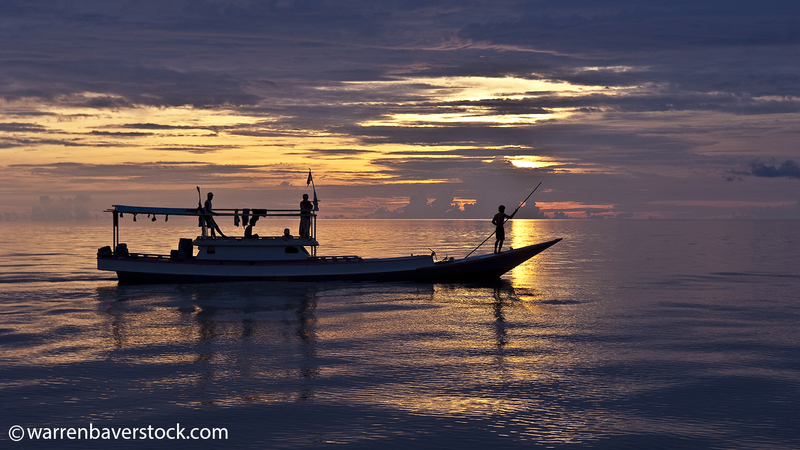 We sit back, enjoy the amazing sunset, and discover another special part of the Wakatobi Experience. On our next morning dive, Kaz already knows the animals I want to photograph, and delivers me to the doorstep of an inquisitive cuttlefish that hovers over a lush area of pink and purple sponges. With no other divers competing for photo opportunities or in the shot, I find myself actually relaxing while taking a series of photos of this patient cephalopod. Gazing up from my subject, I am once more overwhelmed by the pristine topography of the reef; I look for Kaz, who is a few meters ahead pointing at something else he has found. I fin towards him, but am then distracted by a vibrant fan coral surround by fry. Like a candy shop, yellow, pink, purple and orange soft corals compete with each other for space and again I find myself a little confused on which shot I want to take. When I finally catch up with a very patient Kaz, he points at a pair of pygmy seahorses. But the shot is difficult, and with risk of damaging corals we move onwards in search of the other animals on my wish list. Amazingly, in the course of the dive Kaz manages to find the four types of pygmy seahorse native to Wakatobi (H. pontohi, H. severnsi, H. denise and H. bargibanti).There is a lot to be said about not having to share a perfect wilderness with many people. Back on the surface, there is not a single dive boat on the horizon – only the sound of splashing jacks chasing their prey. In such a magnificent setting, you can’t help but be relaxed. Smiling, Kaz says he knows I’ll love the next dive. We enter the water and peer down 18 meters onto an expansive sandy area the size of a football pitch, which is situated on the top of a coral pinnacle. I wonder what he’s been going on about. Touching down on the sandy surface, and feeling a bit like the man on the moon, I can see the reef in the distance. As we approach it, I for the first time feel the pull of a strong current. Arriving at the edge of the pinnacle, which plateaus off to depth, I am presented with an incredible selection of marine life. The strong moving water obviously provides a healthy source of nutrients. Swirling fluidly like a river around the coral reef and sponges, shoals of apagons and sweepers swim effortlessly keeping a tight formation for safety from predators. It is as if the entire scene were composed by an artist, and perfectly placed in the middle of all of this life is a large sea anemone, within which a pair of clowns kept watch over their kingdom. The best is yet to come. Kaz lures me away, assuring me with his eyes to trust him, I an come back to this spot later. 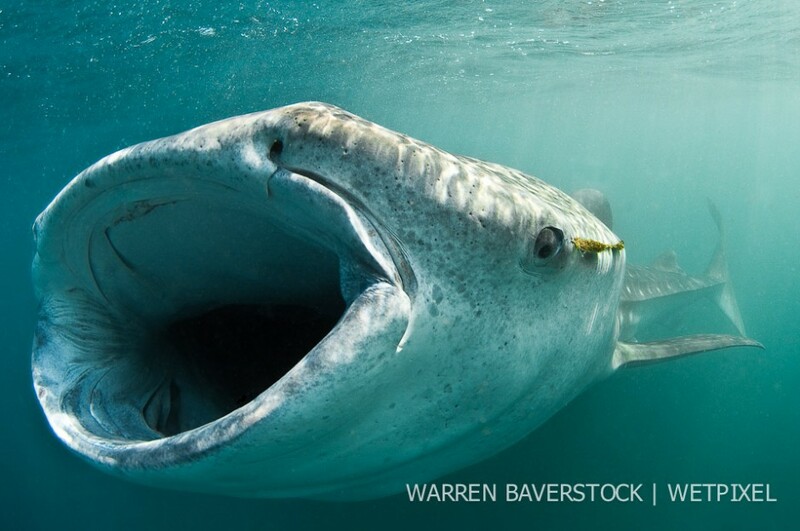 We move on, and I soon find myself kneeling in front of a giant towering sponge, with a tornado of glassfish swirling around it while several grouper sporadically dart into the cloud of movement. Heading to shallower water takes us over a field of hard corals where a large shoal of batfish and snapper cruise. Sadly I’m now low on air, but surprisingly I find I can spend the remaining 5 minutes of my dive along the shallow shoreline, which has changed from coral reef into a lush sea grass environment. It is a nursery for all things small, and I am blown away by the abundance of life in this area. I watch sea snakes weave in and out of the coralline algae-covered coral blocks, searching for easy food. Kaz signals to reminded me that it’s time to go. As I reluctantly fin toward our boat, I muse on how amazing this place is. And with the dive sites being so close to the resort, I find that I also have plenty of time to enjoy lunch without worrying about a tight deadline for the next dive, and never need miss freshly cooked food at dinner due to a late return. Instead I find myself unwinding in the most relaxing restaurant environment that I could possibly wish for on a small island. In all of the dive resorts I have visited, which includes some 5-star islands in the Maldives, I can’t recall ever having such a choice of well-cooked, top-quality cuisine. With over 20 members to the food and beverage team taking great care of each guest’s culinary requirements, I didn’t have a single grumble during my two-week stay – other than a need to get back to the gym when I’m back home. The days begin to merge into a pleasant blur of diving, dining and relaxing. My first week has provided me with some incredible photographic opportunities and memorable vacation experiences. 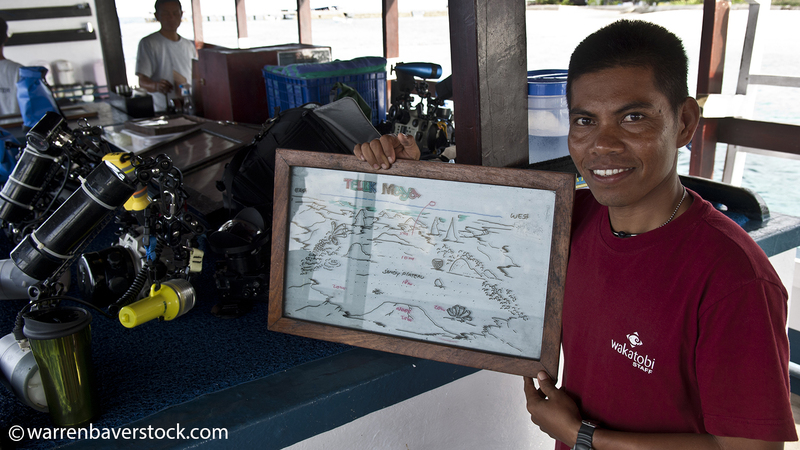 One day, as I watched Kaz draw another of his detailed maps of the next dive site, I am momentarily distracted by thoughts of how many days I have left in Wakatobi. This thought soon passes, and I am quickly drawn back into the moment, and as usual, am excited at what’s in store for the next dive. Upon entering the water, I’m greeted with a magical but now very familiar scene, as morning sun’s rays shimmer over the soft corals that blanket the shallow reef. 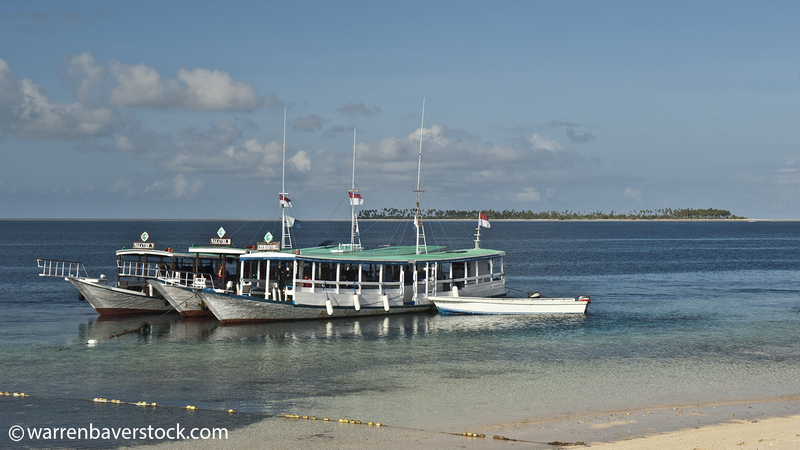 I can understand why so many snorkelers also visit Wakatobi. As shoals of surgeons, wrasse and butterflies chase each other over the shallow reef, I watch as snorkeling couples follow them effortlessly in the mild current. The profile of this dive site is considerate towards the newcomers that had just arrived on the island, but no less spectacular than some of the deeper sites. At 10 meters, the light creates incredible visibility, and as Kaz explores nearby, searching for large crocodile fish, I find myself composing perfect portraits of clownfish with the lush coral environment as a backdrop. As we navigate the reef, I recognize the familiar behavior of a small shoal of Convict blennies in the distance. I had seen many during my stay but as I approach this group, the behavior of the shoal evolves into something much bigger. Quadrupling in size, and hovering like a swarm of bees over the reef, the shoal begins to morph its shape, changing from a beehive into a teardrop, then a magnificent tornado. With no other photographers waiting eagerly their turn for an image, I capture 20 minutes of this incredible behavior before a large trevally dives into the shoal disbursing them into the safe confines of the coral reef. Back on the boat, there is a buzz of excitement from the snorkelers who have had their first taste of the Wakatobi experience. 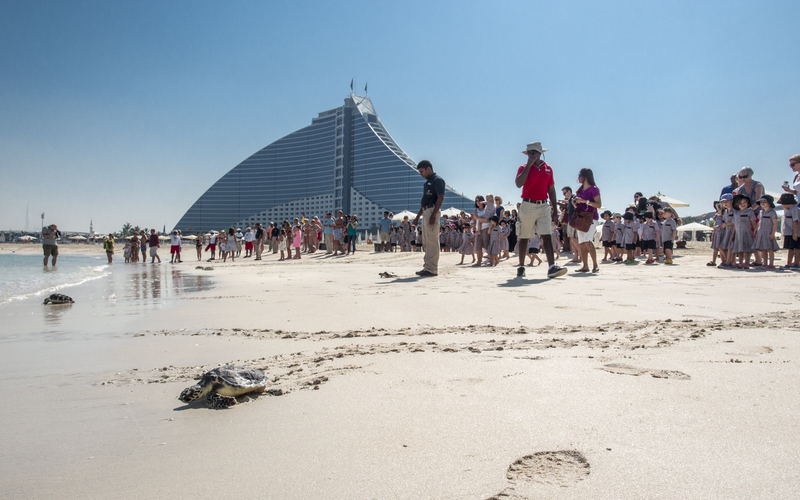 Dubai: Over 1000 supporters of the Dubai Turtle Rehabilitation Project attended The Big Jumeirah Sea Turtle Race to watch six satellite tagged sea turtles and 150 Hawksbill turtles released back into the ocean at Madinat Jumeirah. 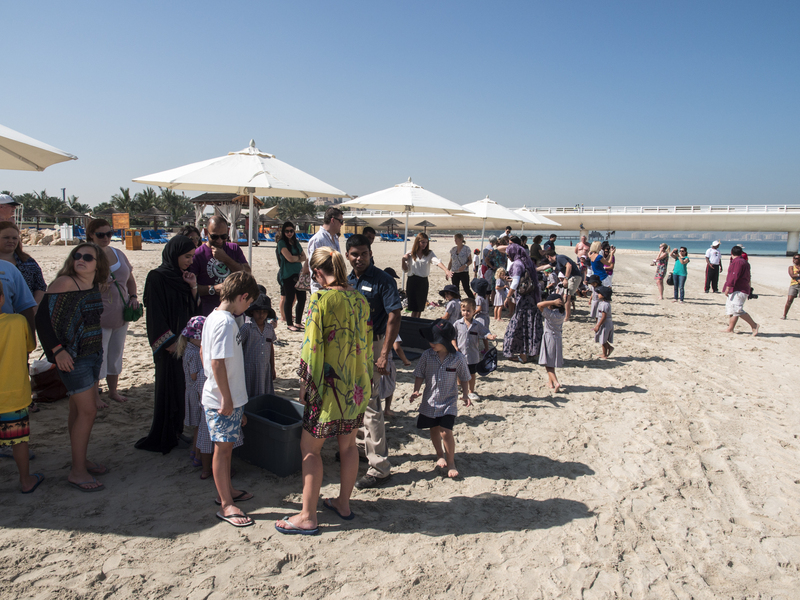 Hundreds cheered as the turtles made their way back into the sea at the event which was designed to raise awareness of the project and its role in rehabilitating sick and injured sea turtles. 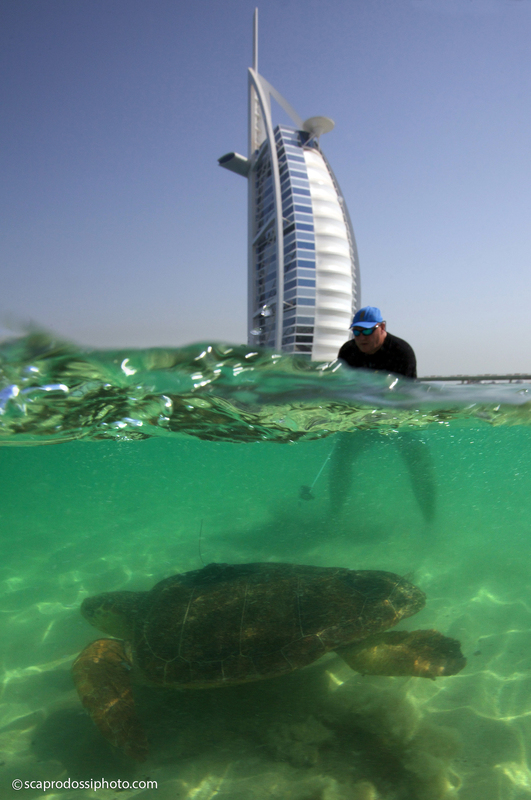 Since its inception in 2004, the Dubai Turtle Rehabilitation Project has released over 550 turtles.